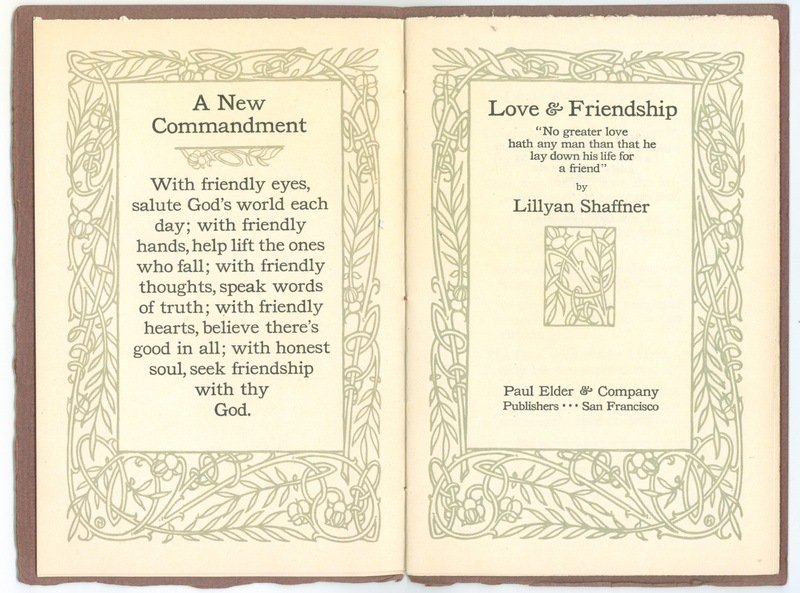 If one had to choose a prototypical Paul Elder gift title, elegant yet undemanding of the reader, Lillyan Shaffner’s Love & Friendship (1910) would be a perfect choice. 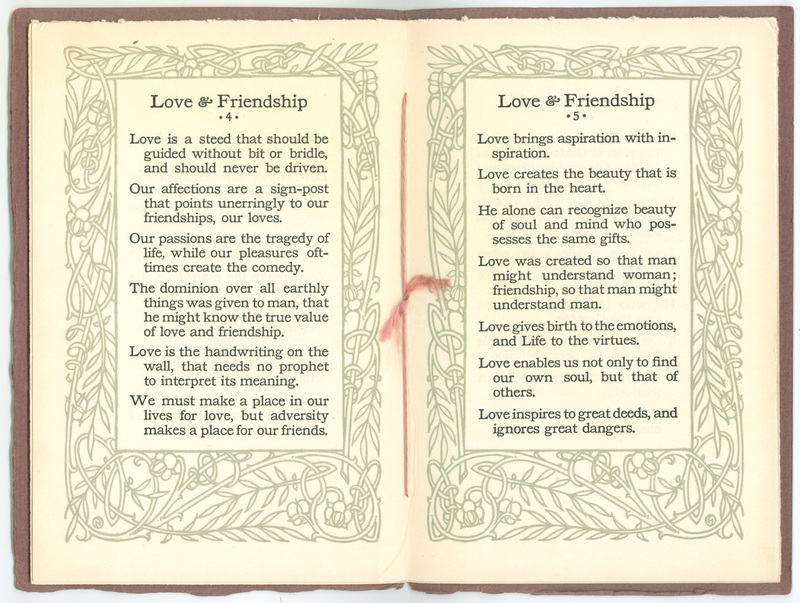 Indeed, I have many Elders inscribed, for example, “to Miss Hopkins, from Charles Johnson.” How better to court the lady of your dreams but with a lovely little booklet that can be read in a single evening? 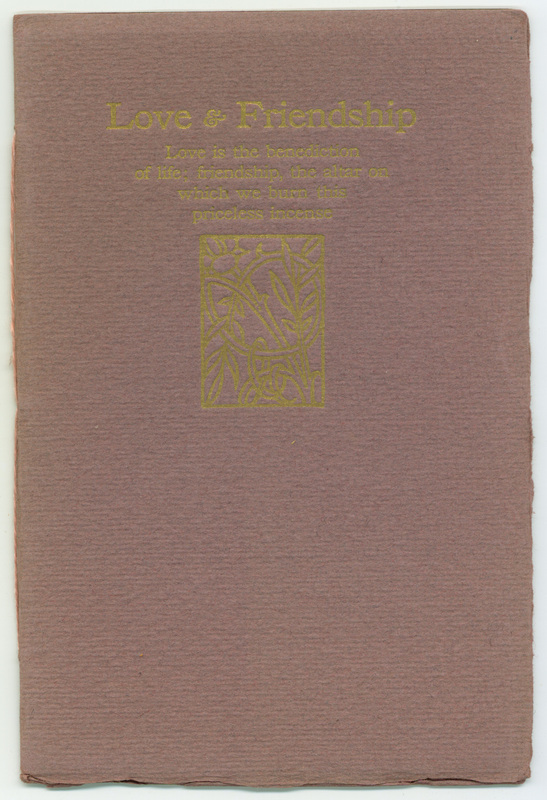 Perhaps that is the biggest reason that Paul Elder printed so many volumes of aphorisms and quotations. 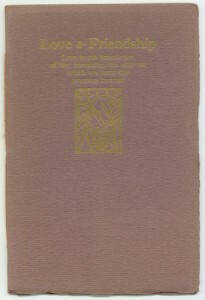 As has been noted in previous posts, Elder had quite a fondness for them, and compiled and edited many collections himself. 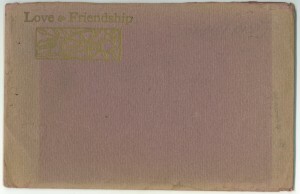 The wraparound decorations are by Harold Sichel, one of Elder’s favorite artists; his HS monogram appears at the bottom of the page. 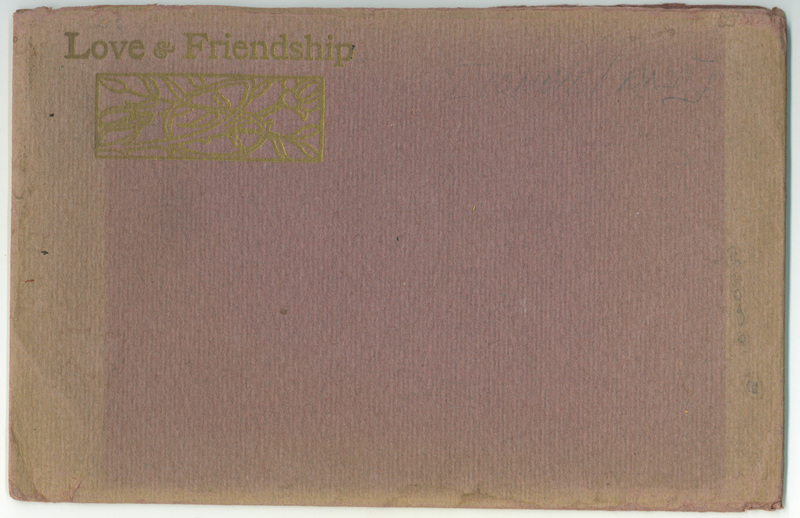 The typography and two-color design are by the exacting printer John Henry Nash. 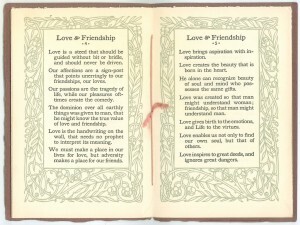 Love & Friendship is one of many booklets that came in matching envelopes, such as the one pictured below. 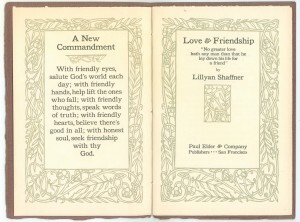 I have been unable to locate any information on the author, Lillyan Shaffner.